The retail organisation GO Outdoors welcomed in new owners and a new Managing Director whose focus was on building passion for people, while also creating a culture of high performance. The changes in strategy created a huge opportunity to increase engagement, and in turn, improve customer service. Why? Because happy colleagues create happy customers, and happy customers spend more and are more loyal. GO’s customer insight showed that highly satisfied customers were twice as likely to return, spend more money and be four times more likely to recommend GO. The mission was straightforward – make GO a great place to work and shop, create a positive work environment where colleagues bring the best version of themselves to work and are focussed on creating memorable moments for customers so they leave the store feeling highly satisfied. With 2,500 colleagues predominantly working part-time across 67 locations, GO Outdoors faced communications challenges. What’s more, 98% of the workforce worked offline with no means of accessing the intranet due to limitations with the company’s IT infrastructure. On top of that, GO wanted employees to feel proud of working for the company, and wanted to implement a reward and recognition programme but had little to no budget to support this initiative. To reach its goals, while still staying within budget and infrastructure limitations, in 2016, GO launched its employee engagement platform with Reward Gateway, called “GOforit!”. The company successfully engaged its workforce with the platform and decided they could capitalise on this success to share and drive the new strategy. Improve reward, recognition and wellbeing. Improve line management effectiveness, leadership and change management. With employee wellbeing at the heart of championing better working lives and creating a culture of high performance, introducing a wellbeing programme was a no brainer to increasing engagement. The launch communications of the new wellbeing programme promoted living a healthier, happier lifestyle, and helped the HR team to enhance the benefits profile that employees had access to by adding a more holistic offering. Using the engagement platform, GOforit!, meant easy access for employees and delivered the right message to employees’ fingertips. The engagement survey highlighted areas where GO could improve. With 66% of employees feeling valued and recognised, the team knew turning the dial on this would have a positive impact on employee engagement and would be a focal point for strategic efforts. The team knew peer-to-peer recognition was one of the most effective ways to recognise and celebrate employee achievements and could yield a 40% better engagement result than manager-only recognition, so launching peer-to-peer eCards with Reward Gateway was a logical next step. Alongside recognition, GOforit! was also used to remind employees they could make their money go further using their employee discounts programme. They promoted the employee discounts app and seasonal retail offers, and even published a new colleague magazine through GOforit!, which discussed all the great things happening in GO that made it a great place to shop and work. GOforit! also provided business updates so employees felt updated, connected and involved. The survey also told the HR team they needed to get better at improving line management effectiveness, leadership and change management. So, the team launched a dedicated manager-only area in GOforit! which provided first-time managers with learning tools, webinars, templates and guidance documents to support them in engagement and managing their staff. GOforit! was designed with employees in mind. The participation, stories of savings made, reviews of items purchased and celebrating one another’s achievements at work is critical, but the platform also plays an important role in helping the company achieve its goals and measure progress. GO Outdoors’ customer insights informed the HR team that the stronger the engagement scores were, the higher the “My Customer” scores were. As staff survey results indicated, in a time of transition, relevant change was possible and the organisation’s overall employee engagement scores increased – being the highest scores to date. On top of that, the new initiatives launched via GOforit! were directly linked to highly satisfied customers and improved financial performance. The launch of the wellbeing hub encouraged employees to participate in healthier activities, like walking meetings, a carpooling scheme and recipe swapping. After launching peer-to-peer eCards, employees have sent and received nearly 3,000 eCards, with a focus on celebrating successes and giving feedback. eCards have made it easier for colleagues to say thank you, job well done or great work. The senior leadership team fully supports the recognition initiatives, and the Managing Director in particular has sent 170 eCards to individual colleagues who were named in customer feedback emails. One eCard at a time, GO Outdoors is building a culture of recognition and celebration. All stores improved their “My Customer” satisfaction scores from last year, with an overall 4% increase on scores. 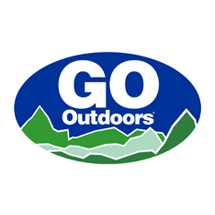 Most notably, so far 25 GO Outdoors stores reached over the 70% customer satisfaction target. By using its already existing employee engagement platform to drive new initiatives, GO Outdoors is creating a culture of highly satisfied customers and engaged employees to move closer to being a great place to work and shop.